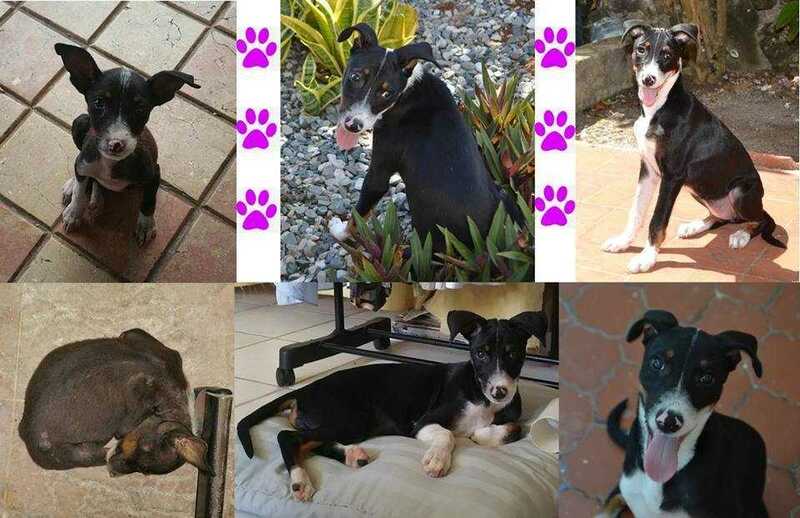 Fania is currently being fostered in the Dominican Republic. My name is Fania, I am about 7 months old and around 30 pounds. I have been spayed, vaccinated and microchipped. I was living a very lonely life on the streets of the Dominican when an angel disguised as a DCDR Volunteer decided to give my a second chance at life and took me in under her wing. She gave me a safe spot to stay, lots of food and love, I will be forever grateful for her! However, it is time for me to find my forever home! I am smart, curious, playful and super cute (don’t you think?). I am well behaved around other dogs and get along well with them. I have not met any children or cats but I really think that I would enjoy them! I like going on walks, but really would rather run free in a fenced in area or large county lot! If you think that I would be the perfect snuggle bug for you please fill out an adoption application, I am most definitely willing to travel to make it home to you! Let the ladies know so I have some time to pack my suitcase!